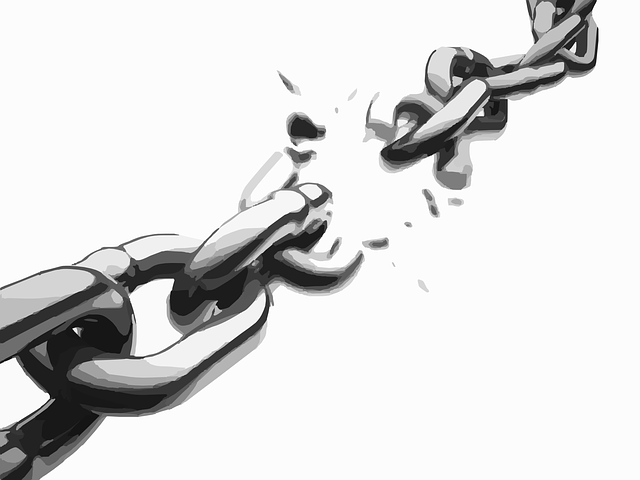 A broken chain can symbolize freedom, but in this case it symbolizes lies. And the week-long spotlight on ObamaCare’s fifth anniversary keeps rolling right along! Passing the ACA was no easy feat, and Democrats had to make all sorts of outlandish promises to voters and politicians alike in order to advance the president’s government takeover of health care. Today, let’s take a look at five broken promises used to sell ObamaCare. This was the biggest whopper of them all, with the fact-checking organization Politifact naming it 2013’s “Lie of the Year.” The lie was repeated countless times by President Obama, as well as many others. In fact, millions of Americans who liked their plans just fine received cancellation notices in the mail after ObamaCare went into effect. Their plans were now illegal, and they would have to turn to the government for more expensive, less useful options. And speaking of the expense? The very name of the “Affordable” Care Act promised us that we would be paying less for health insurance under government supervision, a sentiment that was overtly stated by then-Senator Kay Hagan of North Carolina, among others. But premiums have only gone up, and so have deductibles. In every sense, the price of health insurance has markedly increased under the “Affordable” Care Act. Higher premiums and higher deductibles are not the only way you’re paying for Obama’s health care takeover. Despite assurances from Nancy Pelosi and others that ObamaCare was not a tax, there are in fact as many as 20 new taxes embedded in the ACA amounting to $500 billion. This includes a new tax on drug companies, an increased Medicare payroll tax, and a tax on charitable hospitals failing to meet the standards of the ACA. Even the Supreme Court ruled that the law’s individual mandate is a tax, not a penalty as Pelosi claimed. President Obama has always marketed himself as a young, cool, president who goes on late night comedy shows and used technology in an innovative way to raise funds and attract voters. But his policies are anything but friendly to America’s youth. At a White House Youth Summit, the president said of his health care law: “This law is already making a difference for millions of young people”. It’s made a difference, all right, but not the good kind like you want. One of the key provisions in ObamaCare is that it forbids insurance companies from charging older people more than three times the rates of young people. Because older people spend vastly more money on health care. This means that the young are forced to pay higher rates, subsidizing the health care of their grandparents’ generation. During the debate over the ACA, Nancy Pelosi assured voters that “the health care bill is a jobs bill.” Trying to spin a massive new entitlement program that imposes crippling regulations and boatloads of new taxes on Americans as a job creator is quite a piece of spin, and unsurprisingly, it’s completely untrue. The Congressional Budget Office estimated that ObamaCare will cost at least 2.5 million jobs. ObamaCare was sold to the American public on a bed of lies and broken promises that continue to hurt people to this day. Five years is long enough. It’s time for a new approach. Read "Broken Promsies: The ObamaCare Story"